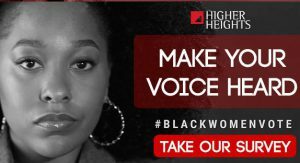 Higher Heights, the leading, independent and trusted voice for Black women leading up to, and beyond Election Day, has rolled out its #BlackWomenVote campaign for the 2018 cycle. The nationwide effort is aimed at ensuring that Black women raise their voices, and mobilize their networks to get out the vote on Nov. 6. During the next week, leading into Election Day 2018, #BlackWomenVote will help prepare Black women to get ready to go to the polls, by encouraging them to activate their networks, by using the make a vote plan tool that can be found on BlackWomenVote.com, and by hosting a series of online activities to further energize Black women and emphasize the importance to get out the vote in November, as well as staying active beyond Election Day. The #BlackWomenVote campaign is fueled by BlackWomenVote.com, which was launched during the 2014 cycle and provides the latest election news, commentary and tools for Black women to prepare to vote, and get out the vote within their social networks. Over the week the campaign will reach Black women across the country, encouraging them to activate their circles and give them the tools to raise their voice, cast their vote, and flex their collective voting power. Earlier this year Higher Heights launched its Truth Tellers campaign lifting up Black women’s unique voices, votes and power centered around “Ain’t I a Woman?”, a question from Sojourner Truth that continues to resonate with Black women today—167 years later. 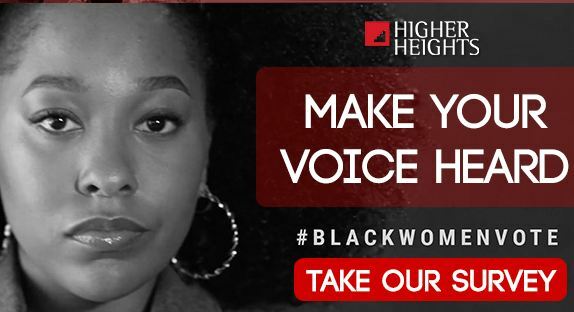 This election season Higher Heights wants Black women to tell their truth and ensure Black women’s voices are heard in the political process. BlackWomenVote.com includes an Election Center, where women can commit to vote and make a voting plan. The website will provide Black women with the tools to activate their networks and create a space where they can share their stories on the latest news from Black women across the country about this election and current topics focused on issues affecting Black women.